Prepare for your next project manager interview using these 7 sample interview questions and answers. 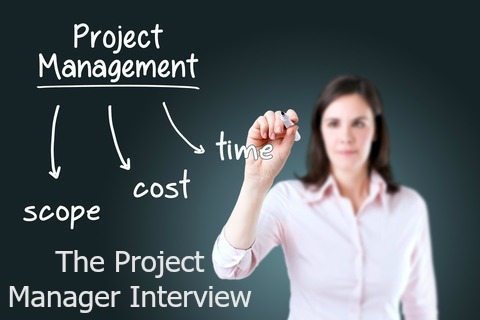 Come across as the right project management professional for the job. These interview questions explore your relevant project management experience and technical skills for the project manager job. The questions look at your understanding and approach to key project management responsibilities and the project manager role. 1. What are the necessary steps to successful project management? What is your understanding and experience of the role of project manager? Refer in you answer to the specific steps you took to successfully manage and close a recent project. 2. What are the priorities to consider when planning a project in your field? Refer again to a recent project and outline your most important considerations in the planning stage. Time, scope and budget are the usual constraints to consider, but how did you allocate and integrate all the necessary inputs to meet the project objectives and plan for risk? The more in-detail the planning the greater the chances of project success. Highlight how each activity that is expected during the course of the project gets due attention. 3. In your experience what are the warning signs that your project may fail? All project managers have had this experience. How did you pick up the warning signal (your monitoring and control processes and systems) and how did you manage it (corrective actions and implementing changes)? A project manager has to understand the uniqueness of each project and keep checking the project’s contours against what they have learned on previous projects. 4. What are the most important considerations when recruiting and building an effective project team? Project management is all about team work. Your ability to effectively manage a team is essential. When answering this project manager interview question highlight how you not only consider the necessary experience and technical skills but look at critical roles and responsibilities and the dynamics between team members. How will the person fit in with organizational beliefs and goals? How will the person relate to the stakeholder group? A clear understanding of what is expected of each project member is essential. Display a good understanding of what makes a good manager in your interview answer. 5. Describe some innovative ways you have improved effectiveness on recent projects. Solutions and improvements need to be found through the generation of ideas and alternatives in a creative, out-of the-box manner. Show your willingness to be creative and inventive with both the initiation of a new project and the components of an existing project. 6. What did you learn from your last project? In your project manager interview focus on technical skills and knowledge as well as competencies such as people and client management. Perhaps you learned something valuable about yourself as a project manager such as your willingness to adapt to a changing environment or your ability to mentor a team member. Highlight how you are able to learn from mistakes. What would you do differently knowing what you now know about the project? 7. What do you consider to be the most important project manager skills in terms of people management? Leadership skills are key to successful project management. What are the methods you have used to guide and influence the project team towards reaching objectives? Good leaders make team members feel they have a real stake in the successful completion of the project. How do you structure your team, introduce and maintain good intra-team communication and improve team motivation and satisfaction? These questions ask you to show an in-depth understanding of project manager duties and skills. Ensure you know what is expected of the project manager role in the company. Expect project manager interview questions that focus on your training and skills in project delivery. These QA interview questions focus on the candidate's knowledge and experience of quality assurance. Prepare for project manager interview questions that explore the competencies or project manager behaviors required for successful job performance. Find a full list of project management interview questions and project management interview tips here.